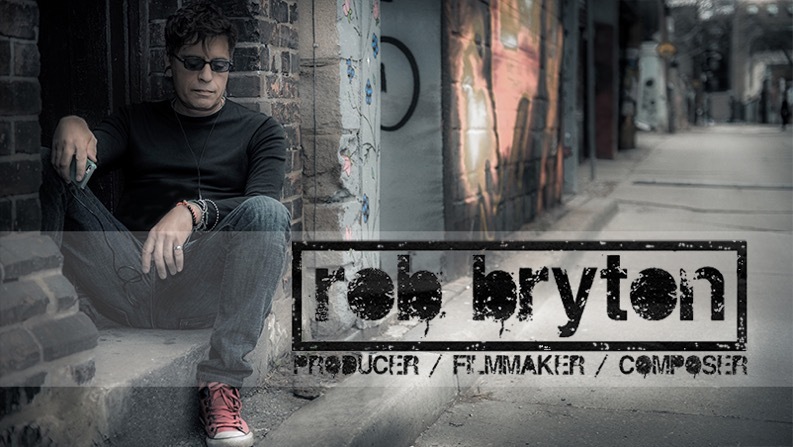 Rob Bryton is an established producer, composer, musician and filmmaker, with experience spanning three decades in the entertainment industry. Though out his career he has established an international pressence directly resulting from his ability to consistently create uncontrived works that inspire people. Rob’s philosophy encourages collective work ethics to a likeminded network of professionals. His established relationships include a close-knit team of: engineers, programmers, musicians, songwriters, and dedicated industry professionals, whom work closely together to create inspiration and impact in their musical and visual work. Together their combined credits cover a diverse range of commercially successful artists, including; Coldplay, U2, White Lies, Sir Paul McCartney, Lenny Kravitz, Goldfrapp, Madonna, Michael Jackson, Mya and the Rolling Stones. Rob has created & produced a number of songs and music for Hollywood Film & TV productions for companies, including; Universal Pictures, Miramax Films, Lions Gate Entertainment, and Saatchi & Saatchi. The determination Rob exhibited as a teenager offered him numerous rare opportunities. •At age 14, Rob wrote, performed and recorded with his own band, as well as developed his production techniques while observing the recording sessions of Canadian bands including Rush and Triumph at close proximity. At 16, Rob co-wrote with members of the Canadian band Harlequin. •At 18, he continued to develop opportunities on the west coast, building a close relationship with the Mancini family at Devonshire Studios, and a continued relationship with Westlake Studios, both in Los Angeles. This furthered his production abilities and record industry exposure surrounded by successful recording artists, including Whitney Houston, Michael Jackson and Ozzy Osborne. Throughout the years Rob has developed his talents in L.A., New York, Toronto, London and throughout Europe. As well, Rob continued building relationships with Record and Publishing company executives internationally while being signed to various recording and publishing contracts.